The Committee for the Defence of People's rights and the Free Legal Practice of the Barcelona Bar Association says that self-determination is one of Catalonia's inalienable rights since it is a fundamental and universal right of all peoples, according to international law. The committee confirms that the current framework of the Spanish Constitution does not allow Catalonia to exercise its right to self-determination but it stresses that in a democratic society the law is nothing more than the expression of the popular will. The Barcelona Bar therefore defends the convocation of a referendum as well as a unilateral declaration of independence, if the Spanish government prevents a referendum from being held. The Defence Committee of the Barcelona Bar remarks that the right to self-determination is recognized internationally and as a result the number of sovereign states has quadrupled since 1900, and it underscores the fact that 20 of these states are the result of a secession of one part of a territory, as in the case of Norway, Finland, Ireland, Iceland, Lithuania, Estonia, Latvia, Slovenia and Montenegro. The Barcelona Bar dismantles the Spanish argument that popular sovereignty resides in the totality of the citizens of the Spanish State with the reminder that the Charter of the United Nations attributes the right of self-determination to peoples, not states. Therefore, the Bar affirms, "the concept of the Catalan people as the political subject with the right to decide is unquestionable". On the other hand, the Bar notes that the Spanish Constitution does not permit the exercise of the right to decide and therefore declares that that is in contradiction with "the democratically demonstrated will of the national community". Therefore, the Bar maintains that "this concept cannot accept the kidnapping of the people's will in name of a legality that is coactively imposed." For all of that, the committee considers that "the Spanish government would have no recourse for opposing the decision of the Parliament of Catalonia to give voice to the citizenry so that they can, freely and as a majority, express their will, in favor or against, with respect to the creation of a sovereign Catalan state." 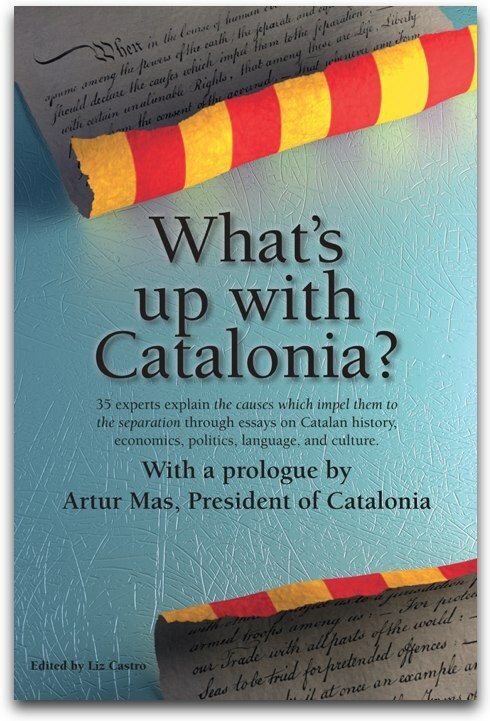 If the option in favor of independence were to win, it adds, "the Spanish government would have no legitimate standing for opposing entering into a process of negotiation in order to establish conditions for the secession." If the state prevented the celebration of a referendum on self-determination or it refused to accept the results of a referendum, the Barcelona Bar Association believes a Unilateral Declaration of Independence proclaimed by Parliament would be feasible. If that were to occur, they say, "the Declaration of Independence would go into effect immediately in order to make the new state exist," because it would "follow the minimum criteria of a constant population, specific territory, and its own political authority," the characteristics that define a state. Com a poc, resulta xocant la traducció d'advocat per "bar" i no lawyer o barrister. I no he pogut pas trobar la referència original d'aquesta "notícia" al web del Col·legi d'Advocats de Barcelona. Cosa que em fa pensar en molt de wishful thinking per part de Vilaweb. La traducció de Barcelona Bar Association ve de l'organització mateixa, no l'he inventada jo. La declaració ja es pot trobar al seu web.